1. How can I buy from Austin Rare Coins? It’s easy to buy from us. We are a full service precious metals firm– we buy, sell and trade gold, silver, platinum, palladium bullion, U.S. rare coins, and ancient coins daily. Our specialty is gold coins, gold bullion, gold bars, and silver coins. 2. Is anyone allowed to buy from ARCI? We are happy to offer our services to clients of all kinds– coin collectors, investors, dealers and brokers who will have their items shipped within the United States. Our online websites make it easy to order online with a credit card. For first time orders under $2,500 you can use a credit card to place your online order. If you are placing a larger trade, you should use a check or wire which will allow you to save 2% from the posted credit card price. 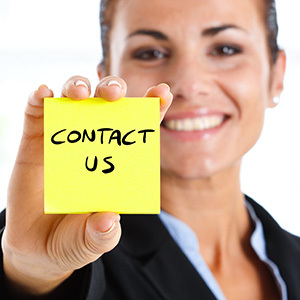 We offer cash and quantity discounts when you call us at 1-800-928-6468. When you order online, there is no minimum order amount. If you are a local Austin client, we're glad to see you, by appointment, for orders that are $1,000 or more. 4. Do I have to open an account with Austin Rare Coins & Bullion to purchase? 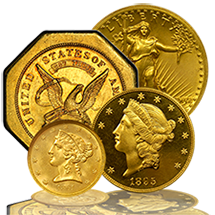 We do not require you to register with an account at Austin Rare Coins & Bullion to make a purchase. You will never be asked to sign an application to buy precious metals or give us your Social Security number before you buy. We recommend that you do not give up your privacy to purchase precious metals. 5. Can I cancel my order after it’s placed? As soon as your order is placed with good funding, the prices are locked in. If you place an order online with a credit card, the credit card will not be charged until the order is shipped. 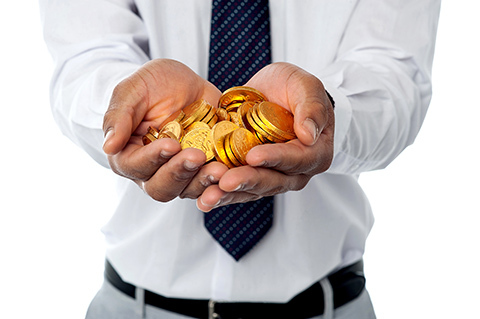 It is our goal to assist you in every possible way when you purchase precious metals. We rarely see cancellations on orders because we do our best to help you find exactly what you need. We realize that under rare circumstances some orders may need to be canceled. 6. After my order is placed, can I change it? We prefer to honor orders in the exact terms under which they are placed. If you would like to add additional items to your order, it would be best to either place a second order online or call one of our Austin Advisors at 1-800-928-6468. 7. Can you store my precious metals purchases for me? We do not store any products for our clients, nor do we advise you to let other companies store your precious metals. We are happy to deliver precious metals to you in a timely fashion and offer suggestions of safe places for storage. 8. Do you report my transactions to the IRS? We do not report any buying transactions to any government agency. We will never ask for your Social Security number. You are responsible for filling out a 1099 B to report capital gain/loss at the time you sell. 9. Do you buy coins? 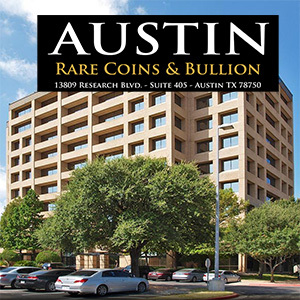 Austin Rare Coins & Bullion is interested in purchasing rare gold & silver coins and most popular bullion items. We are happy to buy back coins that our clients have purchased and ask to be the first place you call when you are ready to sell. 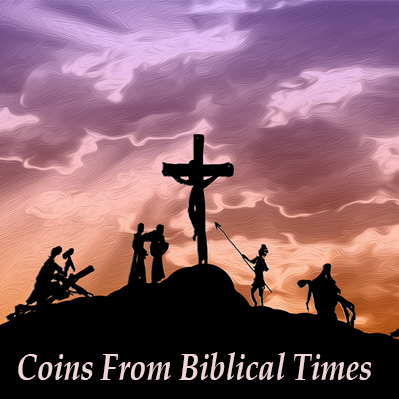 If you are not yet our client and wish to sell coins that you have, we are only interested in collections that have been appraised for $2,500 or more. Please e-mail us with the details of your collection. 10. How do I find out how much my coins are worth? Most people ask this question because they have a few old coins around and are curious of their value. It's impossible for us to respond to thousands of requests for coin prices without being able to see the coin's condition. However, we recommend you look at the 2015 Redbook. If your collection consists of ordinary silver coins, quarters, nickels, and pennies, we recommend that you look in the Yellow Pages under “coin dealers” to find someone in your area who can evaluate the coins in person. 11. Can I trade coins I already have for different coins? We are happy to help our clients trade coins they have purchased from us for other coins. Please call to speak with an Austin Advisor at 1-800-928-6468 for advice. Our Advisors are available from 7 days a week 9am to 9pm. 12. What kinds of payment do you accept? We accept PayPal, Visa, MasterCard, Discover and American Express for orders up to $5,000. We require a personal check or bank wire for orders over $5,000. Orders places with PayPal, Visa, MasterCard, Discover and American Express will pay the credit card online price at checkout . Orders paid for with a Check or Bank Wire will receive a 2% discount off the online price at checkout. Please call 1-800-928-6468 for larger quantity discounts. 13. Is there a holding period for personal checks? Yes, we hold personal checks for a period of five business days to allow them to clear, regardless of them clearing before shipping the order. Under special circumstances some cashiers checks or money orders can be held for up to 21 days. If this instance occurs, you will be notified immediately. 14. Where and how do I wire bank funds? Once your order is placed online we will contact you either the same day or the next business day to confirm your order and provide you wiring instructions. 15. How quickly will you need my payment? We recommend mailing your payment the same day your order is placed and using 2-3 day priority mail through the United States Postal Service to ensure your payment is received on time. 16. What happens if I do not send a check or bank wire for my order after it has been confirmed? We will contact you to check the status of your payment five business days after your order has been placed. If we have no response your order will be canceled if we do not receive payment. You will be responsible for any losses incurred by ARCI on an unfunded trade. 17. How much is shipping? Austin Rare Coins & Bullion uses the United States Postal Service for shipments of all packages. We don't want your valuable package to be left on the doorstep unattended. USPS is the only shipping service who insures cash, diamonds, gold, silver, and rare coins. ‣ Under $30 – $1.95 U.S. Postal. ‣ $30 to $199 – $10 U.S. Postal. ‣ $200 to $999 – $15 U.S. Postal Registered, Insured. ‣ $1,000 to $2,399 – $25 U.S. Postal Registered, Insured. ‣ $2,400 to $5,000 – $32 U.S. Postal Registered, Insured. 18. Do you ship outside of the United States? No, we currently only ship packages within the United States and areas served by the United States Postal Service. 19. How is the shipment wrapped? The shipment is wrapped in a plain brown box with minimal markings to ensure your safety & confidentiality. 20. How long does it take for the shipment to arrive? Once a package is shipped, it will usually arrive within 5-10 business days. 21. What is the return policy? All rare coins and ancient coins are sold on the internet are backed by a 14-Day Money-back Guarantee. If for any reason you are not 100% satisfied, you may return your order within 14 days of receipt for a full refund including shipping charges both ways. Due to the extremely volatile nature of the bullion market, all gold, silver, palladium, and platinum bullion purchases are final once accepted by the company. 22. Am I taking a risk when I order precious metals? When you make any investment, there are risks involved, and the same is true for precious metals. The values of rare coins, ancient coins, gold, silver, platinum, and palladium depend on many market and economic factors. Coins may go down as well as up in value, and as a result, investing in precious metals may not be for everyone. 23. What's the price of gold today? We currently have graphs and historical data on gold, silver, palladium, and platinum prices. Please visit our page for the most up-to-date live prices.